The Añejo Highball is an invention of the American bartender Dale DeGroff, who is famous for his pioneering work for today’s cocktail renaissance. DeGroff worked in in New York’s Rainbow Room in the late ’80s and concentrated on sophisticated reinterpretations of classic drinks, thus being among the first to return to the historical roots of bar culture. Nonetheless, the Añejo Highball is one of his own inventions, although it is to be understood as a tribute to the Cuban cocktail mixers in the late 19th and early 20th centuries. 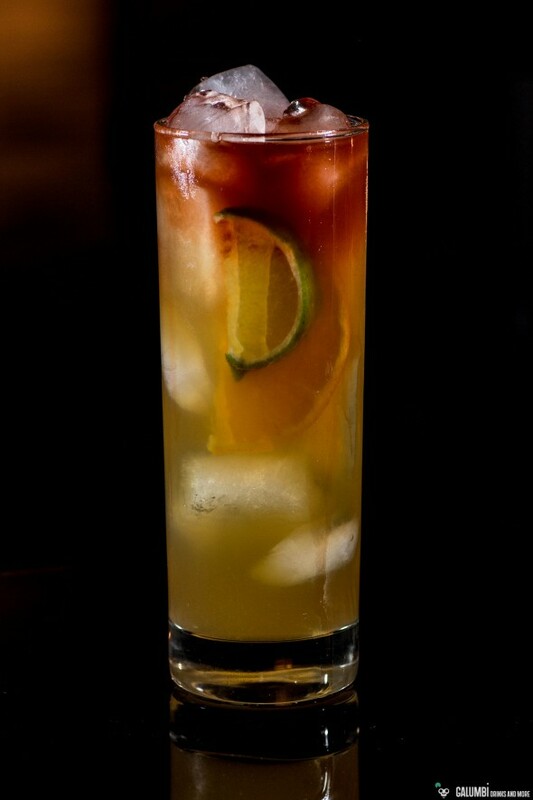 The cocktail is based on the very aromatic and thoroughly Caribbean combination of rum and ginger beer (one immediately thinks of the Dark ‘N’ ​​Stormy), which in addition to another Caribbean classic, the orange curacao, is accompanied by lime juice and some depth imparting Angostura Bitters. It is a really convincing taste experience! Also in October under grey skies. Preparation: Build up all the ingredients except for the ginger beer in your glass with ice cubes and stir. Finally float with ginger beer. Buying sources: A good Añejo rum can be found at specialized spirits retailers. The same applies to the Orange Curacao. The rest of the ingredients should be findable in well-stocked supermarkets.